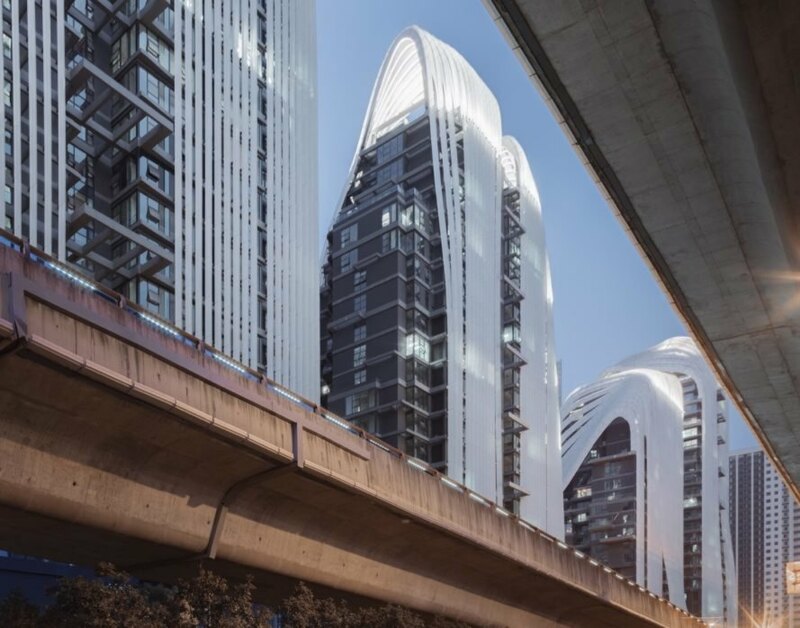 Beijing-based architecture firm, MAD Architects, is nearing completion on yet another of their massive mountain-inspired projects— the Nanjing Zendai Himalayas Center. 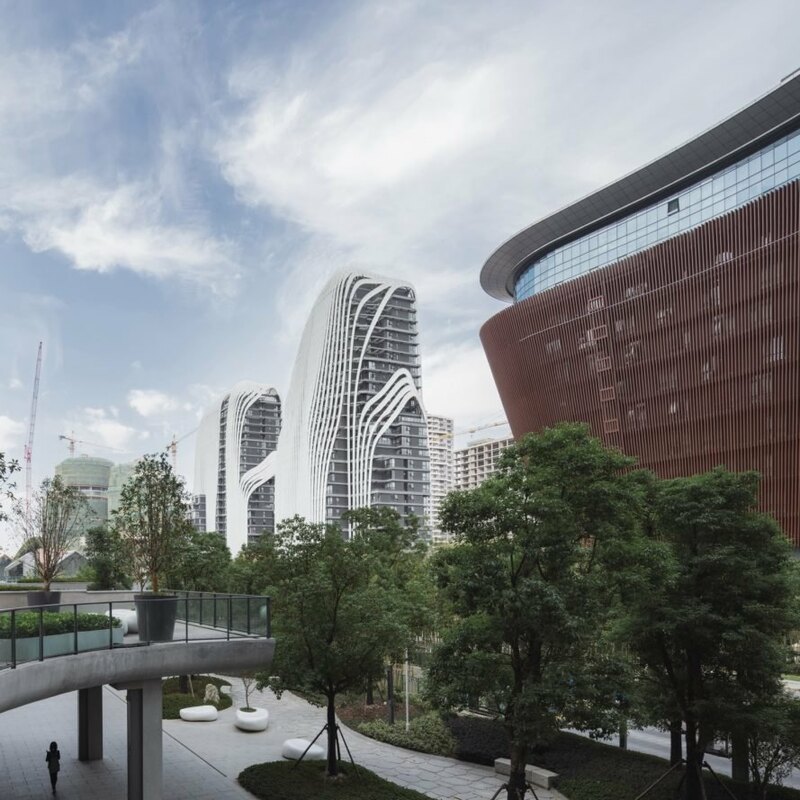 Inspired by the Chinese traditional painting style of ‘shan shui’ (‘mountain water’), the mixed-use development was designed as the “spiritual and poetic retreat in the middle of the city” and features curvaceous forms that mimic Nanjing’s surrounding mountains and waterways. In addition to its impressive mountain-like appearance, the highly complex city-scale urban project also integrates energy-saving strategies from ample glazing and vertical sun shades that mitigate solar gain while letting in natural light to the landscape irrigation systems that use recycled rainwater. Famously unveiled at the Venice Architecture Biennale 2014, the Nanjing Zendai Himalayas Center is one of MAD Architects largest projects and covers approximately 560,000 square meters. The development will consist of a mix of office spaces, retail and restaurants, hotel and residences. “The scheme seeks to restore the spiritual harmony between humanity and nature through the integration of contemplative spaces that, while immersing inhabitants in nature, still meets the conveniences of modern day living,” explains the firm of the nature-inspired architecture. 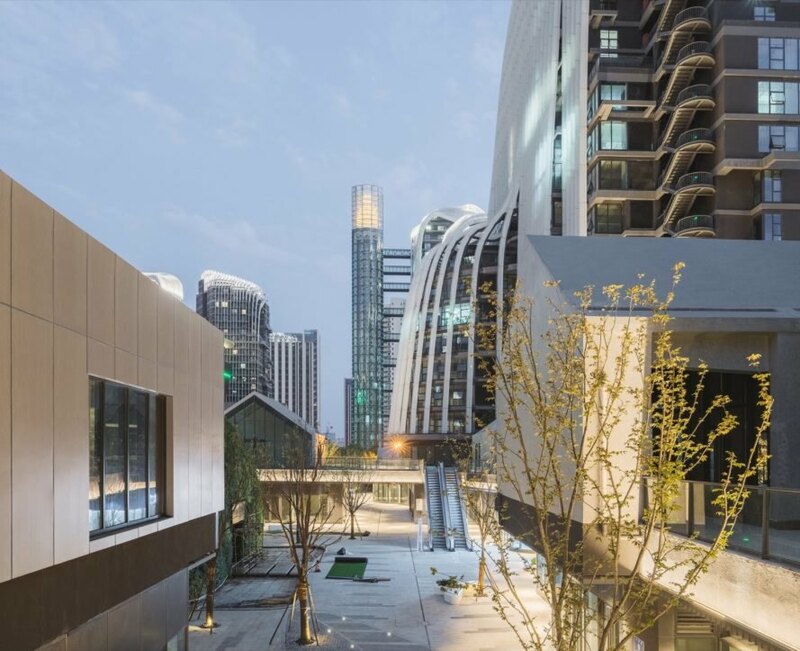 Envisioned as a “village-like community,” the project is centered on publicly accessible gardens and a mix of low-rise commercial buildings connected with footbridges and elevated pathways. The most eye-catching low-rise structure is enveloped entirely in greenery and features a rounded form suggestive of a hill. Surrounding this “village” are the mountain-like towers along the boundary of the site with white, curved glass louvers that “‘flow’ like waterfalls.” A series of water features—from ponds and waterfalls to brooks and pools—connect the buildings alongside lush landscaping. 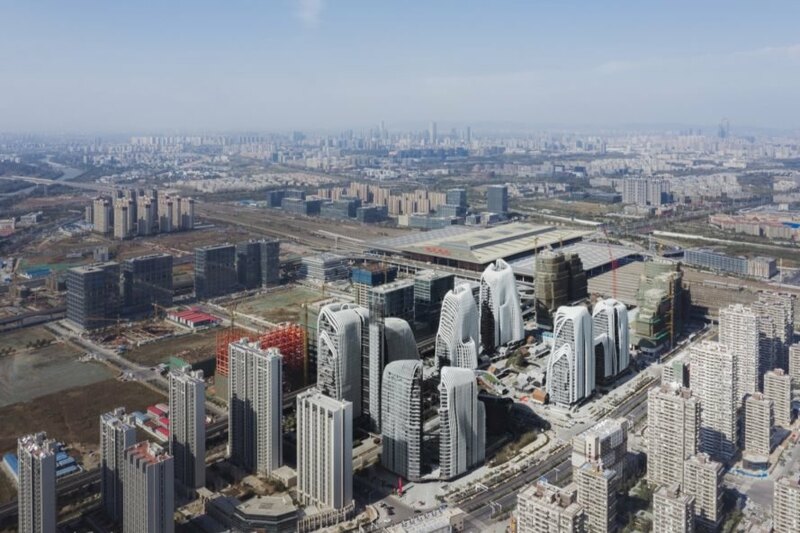 The Nanjing Zendai Himalayas Center is currently in its third and final phase of construction and is slated for completion in 2020. MAD architects designed a nature-inspired center. The development has a building area of 560,000 square meters that consists of commercial, hotel, office and residential programs. 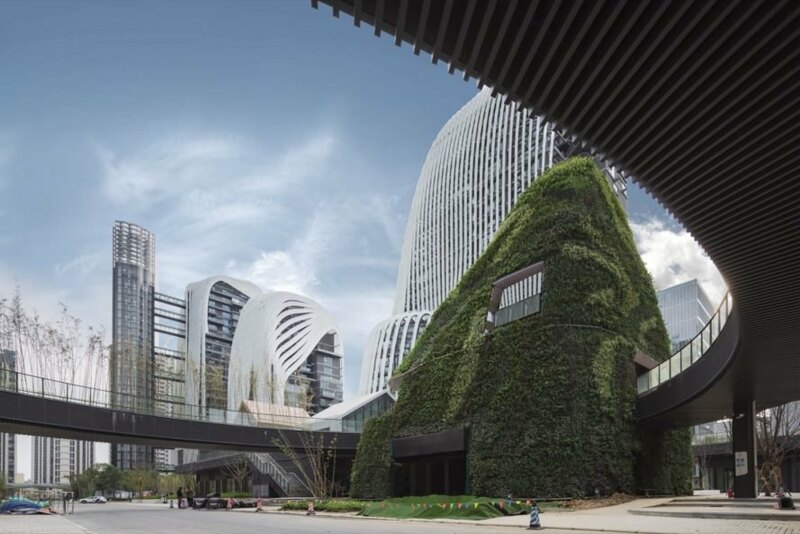 MAD architects aimed to restore the harmony between humanity and nature through the Nanjing Zendai Himalayas Center. The development's design represents a village-like community. MAD's design for the mix-development consists of low-rise buildings connected by footbridges. 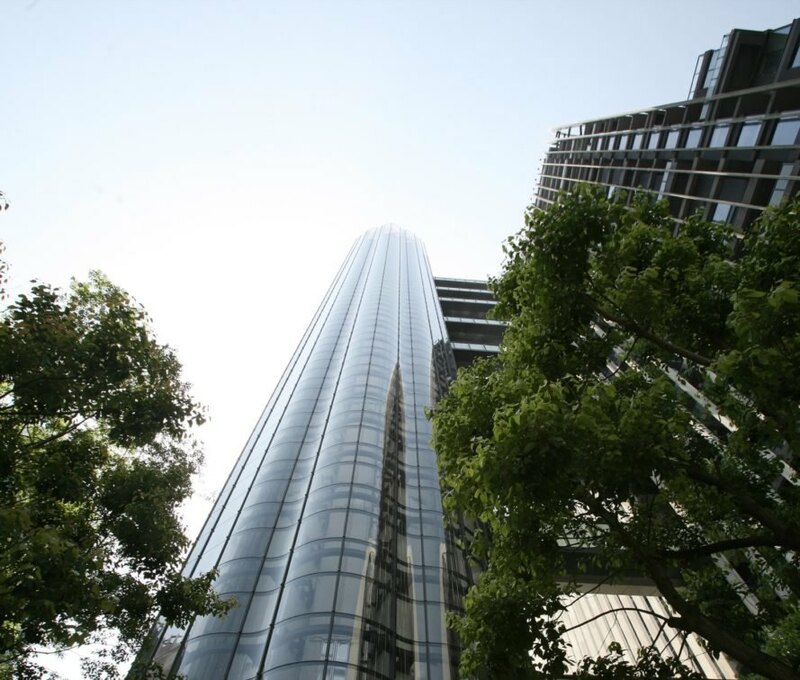 The buildings feature curved glass louvres that represent waterfalls.